Hannah Johnson & The Broken Hearts featuring Stewart Johnson, Chris Shirley, Simon Smith and Howard Smith. Hannah Johnson & The Broken Hearts featuring Stewart Johnson on Pedal Steel, Chris Shirley on Guitar, Simon Smith on Bass and Howard Smith on Drums. 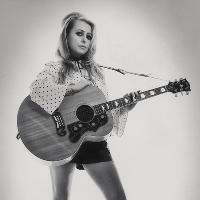 Join Hannah Johnson and co. for her annual Christmas Special at The Hare and Hounds, King Heath, Birmingham. Following the release of her 5 star, critically acclaimed album 'Shaken', Miss Johnson looks forward to performing live in her hometown of Brum, to celebrate with fans and friends this Christmas 2017 with some festive songs to boot! On this record Ms Johnson delves deep into her influences of old country, the blues and honky tonk music. The choice of material is imperative to Hannah, who has spent a long time studying the vocal styles of country greats such as Faron Young, George Jones & Ray Price. However, there is also reaction against these extreme ends of the industry machine and artists like Hannah Johnson are approaching their music with a refreshing honesty and commitment to the core principles of ‘old’ country music, celebrating the heritage and history rather than diluting it. Undoubtedly spending so much time in Austin, Texas has influenced her immensely, as the music she is making falls much more under the bracket of what Dale Watson is doing with his “Ameripolitan” genre than the new country from Nashville. Hannah sings classic country songs about drinking and heart ache straight from a Honky Tonk, her sultry and smokey voice taking on the likes of Patsy Cline, Skeets McDonald and Willie Nelson. But what also cannot be ignored in her voice is the strong influence from the blues, as exemplified on her cover of an old Charlie Patton number and her powerful rendition of ‘Trouble In Mind’.